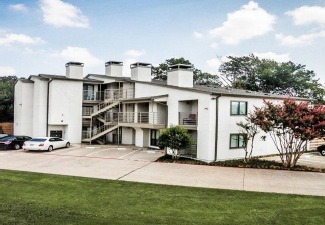 Located just off of Lemmon Avenue and Lovers Lane in Dallas, Texas, the 8180 is only a few minutes from Dallas-Love Field Airport, Northwest Highway, Inwood Road, Dallas North Tollway, Downtown Dallas, Uptown, and the Medical District. Nestled in the highly sought after Bluffview neighborhood and directly across from Midway Manor Park, the Property is surrounded by many new, high-end custom homes. 8180 Lemmon is in close proximity to a large base of employment and economic drivers. Dallas-Love Field Airport is directly southwest of the Property, transporting over seven million passengers annually. Two miles south is the Southwestern Medical District encompassing UT Southwestern Medical Center, Parkland Health and Hospital system, and Children’s Medical Center-Dallas. The Medical District is home to over 28,000 employees and supports over 2.3 million patient visits annually. Only five miles southeast of the Property is the Dallas Central Business District with over 35 million square feet of office space and more than 135,000 employees.